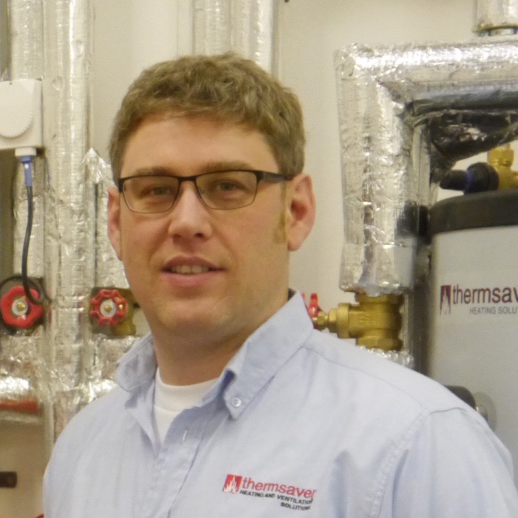 Graham Curtis established Thermsaver in 1985, following a 15 year career in sales and marketing management with heating controls specialists Honeywell and Satchwell. His role within both companies had included being responsible for the introduction of heating control packs in the UK. In establishing Thermsaver, Graham’s ambitions were simple: increase the awareness of heating controls and their considerable benefits to comfort and economy across Scotland. Back then government legislation failed to recognise the benefits of heating controls and instead put financial backing into insulation and double glazing. Because of this Graham decided that a focus on developing new products and systems within Scotland’s heating, hot water and ventilation markets was necessary, and so Thermsaver began its journey of innovation in Scotland. Amongst our early achievements we were one of the first companies in the UK to identify the potential of underfloor heating and in 1993 became agents for European market leaders Wirsbo. This partnership led to projects in exclusive locations such as Stirling Castle and the Ministry of Defence, but crucially also involved working in Scottish schools and across a variety of commercial, industrial and domestic projects throughout Scotland. Thermsaver continued to pioneer new projects with the launch of Alupex plastic pipe plumbing and heating pipe systems. By the following year, with the increase of underfloor heating in self-build projects, Thermsaver had identified the need for good quality fresh air and ventilation systems and as such, were one of the first companies to introduce Mechanical Ventilation with Heat Recovery to the Scottish market. As this market began to grow Thermsaver set up a distribution depot in central Scotland, allowing the business to meet the high expectations of its growing client base. As the business developed our achievements continued and in 1996 Thermsaver were responsible for the launch of both Sime and Saunier Duval gas boilers, establishing a training centre for engineers, full service cover and technical back-up. Sales on both products quickly exceeded expectations and led to Thermsaver’s very own brand of OFTEC approved oil boilers, complete with a full range of standard and high efficiency condensing products. But the company had been kick-started with heating controls in its blood, and so in 1995 Thermsaver’s very own Celect range of heating controls were born. Ten years after we had identified a need for Programmable Thermostats across Scotland, we were achieving our dreams by becoming the go-to company by boiler manufacturers and control companies in the UK and Europe. Our innovative partnerships didn’t end there though. An association with Glasgow company Remcon led to the launch of a six-channel controller with full boiler control, optimum start and independent control of heating and hot water zones. With remote access and control this product was 10 years ahead of the market and was duly rewarded with an Innovative Business Award from the Royal Bank of Scotland and The Glasgow Herald. Thermsaver’s own range of unvented hot water cylinders and buffer vessels soon followed. As our business has developed so too has our online market. Over the years our design and technical expertise have allowed the Thermsaver website to reach businesses and individuals across the globe, from Nairn to New Zealand. In 2015 our website was updated to highlight the benefits of renewables and focus in on the technical expertise and consultancy services offered by the company. With Thermsaver very much active in the installation of underfloor heating systems, Graham’s son Stewart joined the company and quickly became responsible for site supervision and technical support. With a BSc, BEng Honours degree and MSc in Building Services Engineering, 2007 saw Stewart establish his own company, Curtis Heating and Energy Solutions (CHES). Stewart is now recognised as one of Scotland’s most knowledgeable engineers on renewable systems with both academic and hands-on experience and CHES now work alongside Thermsaver, providing all the technical support, design work, partner training and site supervision needed to take our services to the next level. In 2009 both companies moved to larger premises and now operate from Righead Industrial Estate in Bellshill. The site allowed the business to develop a much needed partner network, which would support our work across Scotland and the islands. A training and visitor centre was opened in 2010 enabling full technical installation and product training for our growing partner network, this also enabled our clients to visit us and discuss options for heating, hot water and ventilation on site. Since the visitor centre opened, Stewart and his team have conducted training to over 130 engineers and we are committed to the continuation of this work. The business has changed considerably over the last five years, moving away from product sales and distribution onto full project design, product supply, technical back-up and service support. Our partner network is absolutely key to these changes in helping support our installation work for clients. In 2011 Thermsaver were approach by European heat pump market leaders DeLonghi and Scandinavian MVHR manufacturers Dantherm, we are now proud distributors of both products. Thermsaver and CHES now operate jointly with both company and product MCS (Microgeneration Certification Scheme) Accreditation on a wide range of renewable products. As we have moved forward, our team of qualified design engineers and service personnel has grown and our partner support network has strengthened. This is shown in the fact that Thermsaver have been involved in many prestigious projects throughout Scotland and across the islands in the last few years. Check our Case Studies section to find out more about some of these projects. Despite our development and growth, at Thermsaver’s heart is the same family run operation which was kick-started 30 years ago by Graham Curtis. We celebrate our thirty year milestone by continuing to innovate, inspire and deliver high levels of customer service. These commitments will ensure that our business will continue to go from strength-to-strength. Here’s to the next 30 years.